Sarasota real estate buyers searching for waterfront properties, usually pick Bird Key homes for sale when they are avid boaters. Many Bird Key properties are on deep water canals. Bird Key's Yacht Club is an outstanding added amenity to this beautiful waterfront community offering "an active social scene, restaurant, fitness, tennis and heated pool". Of course, there is dockage for your boat as well as fuel. According to the Sarasota MLS IDX database, there are currently 36 homes for sale on Bird Key. The MLS data reports the lowest priced home on Bird Key is $524,000 for three bedrooms, three baths. The home is considered a "garden" home and not on the water. The lowest waterfront home on Bird Key is priced at $1,295,000. 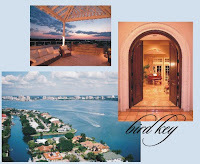 Prices of Bird Key homes for sale range from $524,000 to $9,490,000 in this popular waterfront neighborhood. There are 11 pending sales. Bird Key real estate continues to actively participate in this buyers market as home sales in the last six months total 17 with selling prices ranging from $475,000 to $2,450,000. Bird Key homes are located south of the first traffic light just over the Ringling Bridge from Sarasota, FL. Lido Key Beach and St. Armands Circle is a very short drive from Bird Key for a day at the beach, shopping and dining. 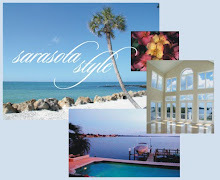 We specialize in all Sarasota real estate. Give us a call if you are thinking of buying or selling a home in Sarasota. Make an appointment with Annette Smith or John Allen for a specialized marketing plan if you wish local/global exposure for your Bird Key home. We have the Internet and social networking covered from A-Z!